In today's daf (Sanhedrin 60), in the Mishnah, we see kissing and hugging as a form of idol worship, and throwing stones at Mercury as a form of idol worship. "ויש לתמוה מחכמי צדוקים שפירשו זה לעתיד, ואמרו: כי המקדש היא מיכ"א שיחוגו עליה הישמעאלים והסירו התמיד, החמש תפילות ונתנו השיקוץ עכו"ם ואלו התועים, איך יתכן שיקרא מקדש רק ירושלים לבדה, וככה שמה בלשון ישמעאל בית ואיך הוא מיכ"א קדש, והלא פקחו אלה העורים את עיניהם וראו כי יש במיכ"א שיקוץ עד היום והלא מרקוליס שאליו יחוגו כל ישמעאל ממזרח וממערב לזרוק אבנים שם, ואלה המפרשים חללו המקדש. ועוד: אם היה אלה עכו"ם אין תשובה ממרקוליס, כי זה ידעוהו אבותיו ולא סרו אנשי מיכ"א למשמעתו, עד שנשבע להם שלא יסיר עבודת מרקוליס, ואין צורך להאריך." "One is surprised by Sadducee sages who interpreted this as referring to the future. They said that the sanctuary is Mecca, around which the Ishmaelites circle. and they put aside the daily sacrifice the five prayers (the Salat). and they set up the abomination, idolatry. And they are the mistaken. As is it may be that miqdash/sanctuary refers to Jerusalem alone. Thus it is that in the Ishmaelite language its name is “house”(al-ka’aba). And how is it that Mecca is sacred? Didn’t those blind ones open their eyes and see that in Mecca there is an abomination to this day? Is it not Mercury, around which all Ishmaelites, from east and west, circle to throw stones? And these interpreters have desecrated the sanctuary. And further, if it was a pagan god, the answer is not Mercury, because his fathers knew him and the men of Mecca did not turn to obedience to him till he swore to them that he would not put aside the service to Mercury. And there is no need to expand." "The Stoning of the Devil (Arabic: رمي الجمرات‎‎ ramī al-jamarāt, lit. "stoning of the jamarāt [place of pebbles]") is part of the annual Islamic Hajj pilgrimage to the holy city of Mecca in Saudi Arabia. During the ritual, Muslim pilgrims throw pebbles at three walls (formerly pillars), called jamarāt, in the city of Mina just east of Mecca. It is one of a series of ritual acts that must be performed in the Hajj. It is a symbolic reenactment of Abraham's hajj, where he stoned three pillars representing the temptation to disobey God and preserve Ishmael." "Muslim pilgrims circle the Kaaba as a part of the tawaf ritual during the hajj and many try to stop and kiss the Black Stone, emulating the kiss that Islamic tradition records that it received from Muhammad." We say ha lachma anya, and it is called that based on the pasuk (Devarim 16:3) which refers to matza by the term lechem oni. One famous answers (from Rabbi Akiva) is that we say (“onin”) upon this bread many things. Besides the straightforward meaning that we are reciting both Maggid and Hallel upon it, we can also understand this to mean that it is pretext bread. Thus, we see it is unusual and we ask (that is, mah haavodah hazot lachem or mah zot), and it becomes a reason for retelling the story of Pesach. Or, even better, we have many different explanations for why we eat it. The pasuk which gives the putative reason is for matzah for pesach dorot, and wouldn’t account for the matzah consumed in Egypt. And various reasons are given for it. And frankly, while there is presumably one true reason for eat, eat of the devarim harbeh which are given express and develop an interesting idea, all of which have value. So the devarim harbeh is a nice thing. At a recent shiur in Rinat, a prominent modern Torah interpreter discussed what was meant by דִּי אֲכָלוּ אַבְהָתָנָא בְּאַרְעָא דְמִצְרָיִם, what matzah they ate at what point, and why. He developed the idea of matzah as the opposite of chametz, leavened bread, which was the Egyptian staple, and which even had a minister of bread (sar ha’ofim). Along the way, he mocked the idea that the Egyptians were mean and therefore forced their Hebrew slaves to eat this bread of affliction. This, he said, was something kindergarten teachers taught the children in class, but lacks a basis in rabbinic literature. I agree that this explanation is not well supported by the Chumash text. But at the same time, there is some support in rabbinic literature for it. It is not purely an invention of the kindergarten morot. Besides, even if we don’t find an explicit text to support it, the fact is that matzah is a word in the Hebrew language, and wasn’t invented on the spot. The Hebrews understood Moshe, and so it could make sense that it played some role in society, that some people would make unleavened bread for some purpose. And Ibn Ezra, with his personal experience, is engaging in realia, explaining what role it could play in some cultures. It is possible that the Hebrews made this bread for themselves for similar purpose, because it had to sustain them for a tough day of work. And then we can understand the pasuk of it being lechem oni, bread of affliction, that is bread that they ate in Egypt regularly, during their affliction. And then it is not without some scriptural tie-in. I’ll close with another possible explanation of lechem oni I came up with. Maybe it is obvious, or maybe it is my own chiddush. The process of making the bread, and the experience of eating a bread of this texture, parallels that of affliction. With chametz, you put in yeast and allow the bread to expand, and you end up with a light, fluffy texture. But in Egypt, there was lachatz, oppression, in which the Hebrews were suppressed and not allowed ease and breathing space. And so too, we do not allow the dough to become chametz and the result is a bread which has been afflicted and has an afflicted texture. An interesting al tikrei X but Y. Don't read yam but sar shel yam. How does this work? You need to know the Chronicles of Baal, where Baal slays Prince Yam and doesn't let him trespass on dry land. Then you know that Yam is a name. So what we are really saying is don't read yam lowercase but Yam capital. is missing the leading ha-, and it is then taken as a statement of fact about the future use of the Leviathan! In the following section of gemara, a pasuk with the interrogative ha- is brought. How can they ignore the ha-, to say that it is a plaything? It seems that there, it is saying that obviously humans cannot do it, to the exclusion of Hashem, who can do all this. If so, maybe we would say the same about the pasuk without the ha-, that it still is a question, but Hashem's intervention is different. דף יג, ב פרק ד הלכה ב גמרא לאיזה דבר כתב עומקה ורומה שאם רצה להשפיל ישפיל הגביה יגביה. רבה בר רב הונא בשם רב הלכה כרבי עקיבה דידן דהוא רבנן דרבי חייה. ר' זעירא רב ירמיה בשם רב הלכה כרבי עקיבה דרבי חייה דהוא רבנן דבבלאי. תמן אמרין אדמון ורבי עקיבה אמר ר' לא בסתם חלוקין. In yesterday’s Daf Yomi, Bava Batra, Moo amud bet, there is a surprising mnemonic, עמלק סימן. That is, the four cases under discussion in the following section are arev (guarantor), malveh (lender), lokeach rishon (first purchaser) and qablan (a different type of guarantor), who may or may not testify on behalf of a certain other party as to ownership of a field. The letters spell out Amalek. This is surprising, to use Amalek as a mnemonic, when we are supposed to blot out the memory of Amalek. And Hagahot Yaavetz (Rav Yaakov Emden) has an explanation about how it is OK to use it to remember Torah, and how there is a tipcha (disjunctive accent) on the lo of lo tishkash, לֹ֖א תִּשְׁכָּֽח , somehow telling us that it is sometimes OK for the sake of not forgetting. 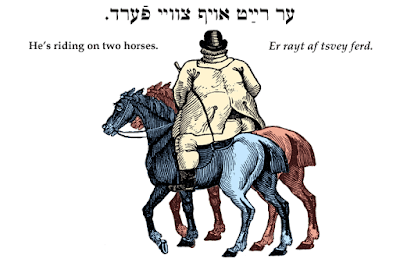 The Masoret HaShas, besides pointing us to the Hagahot Yaavetz, points out that the Dikdukei Soferim notes that in many kitvei yad, this mnemonic isn’t present. Thus, for example, we don’t find it in Ktav Yad Firenze, Paris, or Vatican. If so, perhaps we should cross out this siman, this zecher, from our gemaras. In this way, we can literally fulfill the positive command of תִּמְחֶה֙ אֶת־זֵ֣כֶר עֲמָלֵ֔ק.